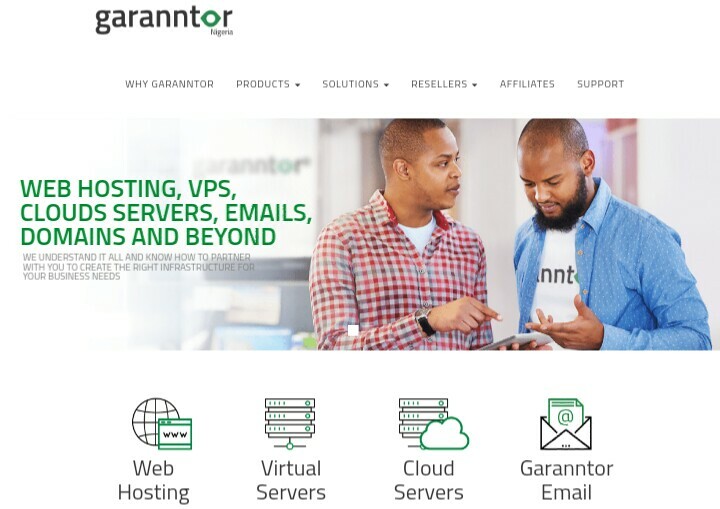 Garanntor Nigeria, a local hosting company hosting all of its infrastructure at a Local tier III datacentre in Lagos Nigeria, has been the best local hosting company in Nigeria; beating stiff competition from four other Nigerian web hosting companies. The web isn't free. It costs money to make it work, although this cost is spread over various companies etc that run the web servers that serve web pages to the masses. We buy a domain name so that we own it for a certain amount of time, and we pay the company who we register it with to host it on their name servers. If the domain name isn't on a name server then no one will be able to reach your website. If these companies gave the domain names away for free, how could they afford to run their name servers? The web, unfortunately, mirrors real life. Nothing is free, everything that makes it work costs a certain amount of money to run. By the way the most of the services provided by the world wide web is free. Domain names are the building blocks of the world wide web. They act like 'markers' for websites. They are just names, identities(you can say). They need to be pointed to a server(that actually hosts your data; your website in simple terms). They need servers to do that, which you pay for.